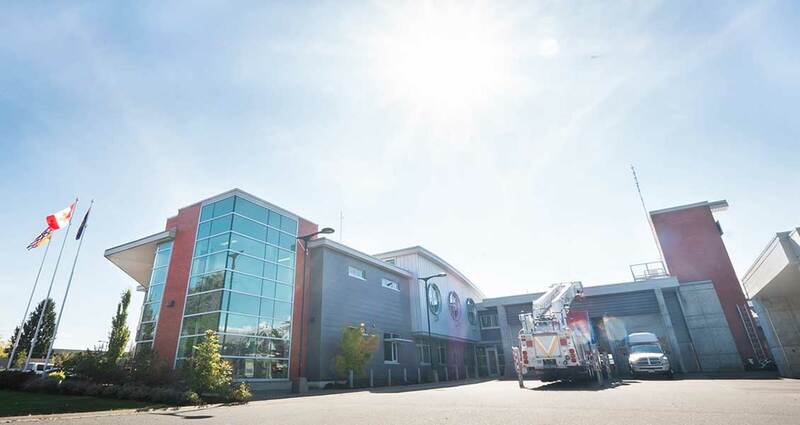 Fire Hall No.1 in Maple Ridge involved a two storey addition and extensive renovation, including a seismic upgrade, to an existing Fire Hall. Special consideration was given to gender neutrality and the renovation incorporates ten gender equal rest areas and five unisex washrooms. Other considerations were a ten foot extension of the existing apparatus bay. Fire Hall No. 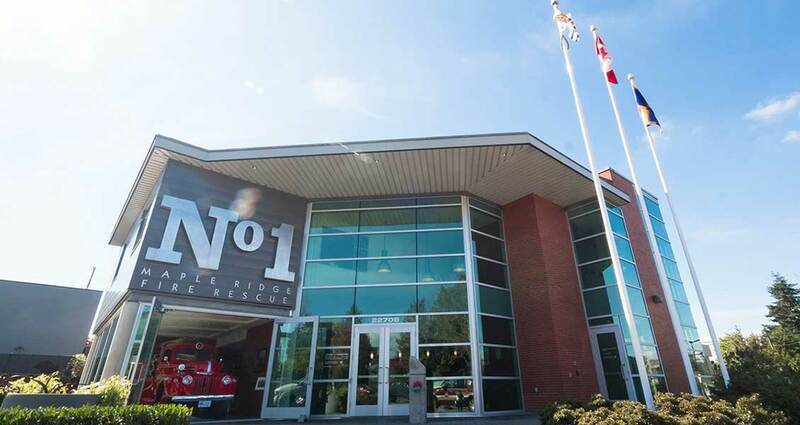 1 was designed in collaboration with the fire fighters and the community to produce a building with a great design for both training and office space. 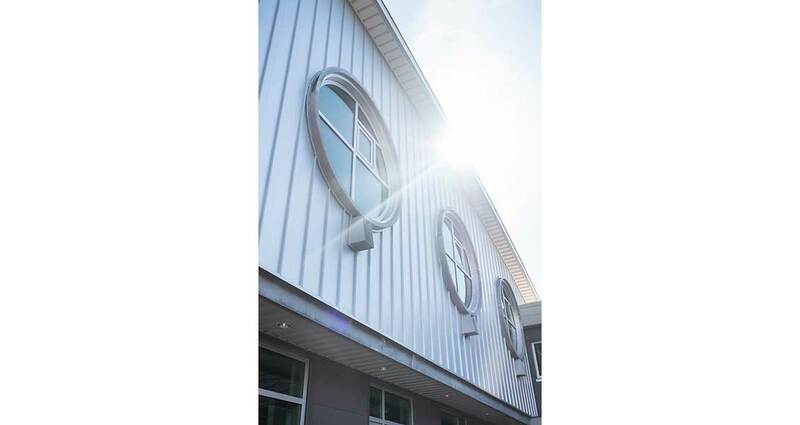 The resulting building is a post-disaster facility and caters to a wide range of functions, all under one roof. Equipment support consists of gear and tool storage, and apparatus bags. 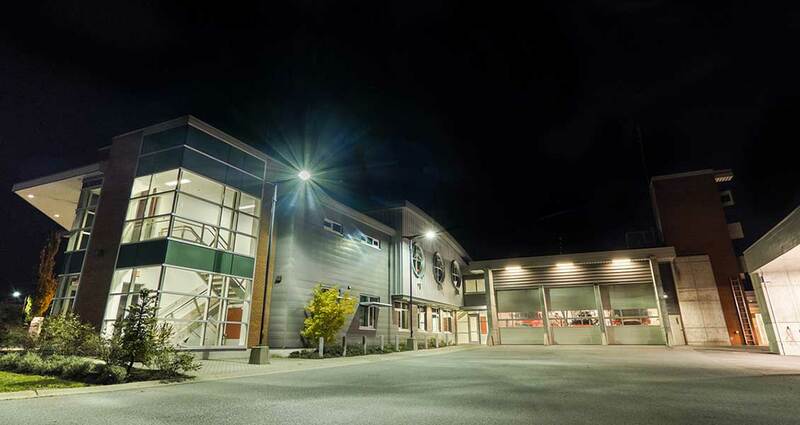 Fire fighter support encompasses kitchens, a training tower, day training room and gender equal rest areas, lockers/showers, and universal washrooms. The Public Training room doubles as a disaster response centre in case of emergencies. In keeping with the Maple Ridge commitment of environmental responsibility, the project is currently registered with the CaGBC and the documentation for LEED™ submission is underway. Minimized use of new materials and maximized reuse of the existing building shell and asphalted areas. Mechanical systems designed to be both innovative and efficient—controlled and monitored by a Building Automation System, restricting use to occupied areas and ensuring optimal functioning. Closed loop geothermal system designed to meet the bulk of the heating and cooling requirements, ensuring lower off-gassing into the environment during operation and a low carbon footprint. Electrical lighting fixtures that are energy efficient with occupancy sensors. Large windows on the exterior walls, light shelves and the extensive use of interior glazed partitions enable the penetration of natural light to interior spaces. Building envelope designed and detailed for optimum energy performance, expending less energy while heating the building interiors. Roofing systems with high SRI values to increase reflectivity and emissivity, reducing heat loads, and the ‘heat island’ effect of the building. Use of environmentally friendly materials, in terms of their recyclable and low emitting content, to reduce the carbon footprint of the building. Landscaping designed using vegetation that is low on water consumption. Low flush fixtures used in the washrooms further reduce water usage. 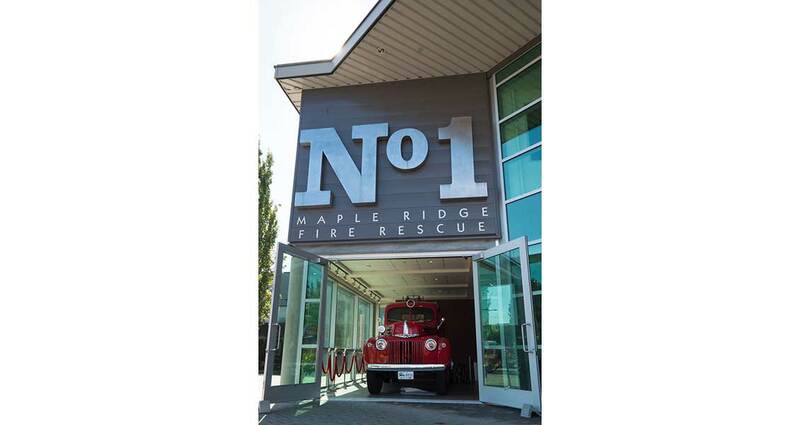 All of the above points contribute towards making the Maple Ridge Fire Hall No. 1 a sustainable, low energy building in terms of its construction, operation and maintenance.